We’ve been hard at work advancing the Custom Stable, the world’s leading scleral lens. Our goal is continually to make your experience exceptional by simplifying and improving our products, education and customer service. To that end we’re excited to introduce several new technologies and initiatives for 2‌01‌7. We hope your new year is a success - happy fitting! We have a new slate of Custom Stable training seminars hosted by our expert educational consultants. Webinar topics cover fitting, practice management and more. Visit our website or contact us for more information. We’ve revamped our	order system to make ordering Custom Stable lenses easier and more intuitive. Now when you enter your data you’ll get visual feedback and be prompted for all necessary data to ensure a complete order. Fitting our amazing multifocal scleral, the Custom Stable Aurora, is an intuitive process but now we’ve refined our fitting set and it’s even easier. With lenses separated into visual zones you can step through your fits with ease. 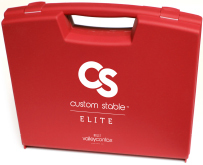 The Custom Stable Elite now has more flexibility with our new Quadrant Specific option. Make independent adjustments to the Scleral Landing Zone and/or the Limbal Clearance Zone in any of four available quadrants. With our new Edge Vault option fitting the Custom Stable Elite and Aurora is even more powerful. Use this option to vault over extremely high sections of the cornea/limbus due to a pinguecula or any other form of elevation. Order our 12 lens Custom Stable Elite fitting set at the discounted price of $300 and we'll give you your first pair free! Plus if you're not completely satisfied return the fitting set within 60 days for a full refund! Call, email or chat live via our website to take advantage of this amazing offer! The Custom Stable™ is a life changing scleral lens that can transform your practice. It fits easy, has exceptional visual acuity and provides all day comfort. With its ability to vault the cornea and create a natural tear lens the Custom Stable™ is a great fit for regular and irregular corneas that need the best in comfort and performance. Contact Valley Contax today to get started. Valley Contax recommends Menicon solutions for all of your scleral and corneal GP needs. With the assistance of the The Oregon Sight and Hearing Foundation (a project of the Lions Club) and many other groups which help to collect 'old glasses', students and doctors are able to examine & dispense glasses to those who would otherwise not have access to medical eye care and vision services. Want to learn to fit the Custom Stable lens? It's easy, just visit our website and take the Custom Stable Training Course. It's free, just watch the 17 minute video and complete the quiz. You'll receive a certificate of completion and a coupon once you've passed. 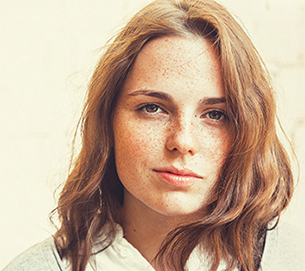 Valley Contax is the world's leading independent custom contact lens manufacturer. Since 1981 we've built a reputation and following for exceptional products and customer service. From our state-of-the-art facilities in Springfield, Oregon we staff the industry's most talented lab technicians, customer care representatives and consultants. Contact us today, we'd love to get to know you.